Reference Guides for Writers: Friend or Foe? Gearin’ Up Blog Fest Question – Reference Guides are they a friend or foe? I always thought that it was a good idea to have a dictionary and thesaurus hand when I write. Apparently there are mixed thoughts about this. 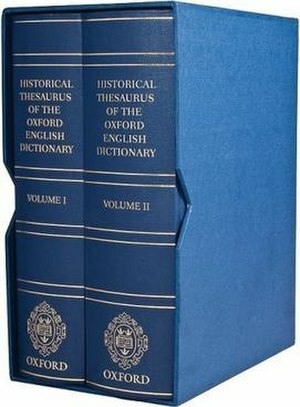 So, is a thesaurus, dictionary or reference guide of any kind good to have around when writing? After reading this well-made point, I realized that he is absolutely right. I have said this before; I guess I was a little surprised when I actually read it from someone who is well known in the world of writing. I have said before to write the first draft raw. Literally throw it up on the page and then worry about making changes later. Hi Vicky. First drafts are tough but we all have to learn to get through it. Hi Shelly. LOL! Isn’t that what we do with the first draft? Just puke it on the page. Hi Greg. I am working on not over using my various reference guides, but it’s tough since i see them sitting there calling my name. LOL! I sometimes use the thesaurus or dictionary while drafting if I can’t find the right word, or if it gnaws at me and I’m convinced that finding the right word is necessary before proceeding — like finding the right street sign before a trip can continue in the planned direction. But 99 percent of the time I agree with King’s advice. Ooooh, I like this. I believe in vomiting my story onto paper but never thought about the danger of overusing resources. You definitely have me thinking…. Loralie, I try to do that and I can’t. LOL, it’s really hard not to correct on the first draft. Angelina, I must say, I love my thesaurus too. I have a thesaurus button on my desktop which I use while drafting. It takes me five seconds to find just the word I’m looking for without interrupting my flow.